When I arrived in Israel almost 20 years ago, women singing for women was barely a thing. I heard only about a band called Tofaah that performed for women. I remember feeling afraid, that if I really took it on myself to sing for women, that might just be the end of my career. It was a terrifying thought. A lot of my life’s satisfaction and the feeling that I am doing what I am meant to do in this world comes from sharing both my voice and my creative gifts, with others. As a naturally somewhat shy and insecure person, singing has always been a way for me to maintain an open conversation with the world: to give and receive the human contact that I cannot live without, while sharing experiences with others that go way beyond the “normal” day-to-day interactions, chit-chat, and small talk that have always made me uncomfortable. I have always been seeking to share depth experiences, and found myself somewhat awkward in social situations, preferring the closeness and comfort of one-on-one connections. Singing has been a way to stay connected, both within and without. 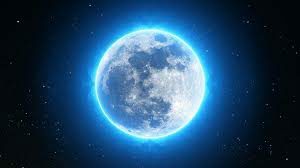 As I became more conscious of spirit, it also became a way to connect with my Creator; and with the raw life force energy that animates and shapes us all, through the awareness and beyond-ness that comes with creating music and words, as well as the total freedom of improvisation. The thought of losing that was not an option. But at the time, the idea that I might not really have an audience as a religious Jewish woman seemed a real, if impossible, possibility. I took a leap. Fast forward to today. Just compiling a list of all the Jewish female singers who are actively performing, teaching, and recording, is daunting. The list is long, and with each name, face, and voice I remember, another several come to mind. I apologize in advance if I leave anyone out; in fact, I just can’t list everyone, so I will pick some of my favorites, and please know that there are many, many more voices to explore, some quite famous and active, in this growing symphony. Please add other singers that I haven’t mentioned here in the comments, to let people know who is out there. Some of us have larger, some smaller audiences. But the plus side is that our audience is both fiercely loyal, and very openly loving and appreciative. To tell you the truth, some women have told me that they feel they couldn’t live without my music. Isn’t that worth more than a Grammy? It may be considered a minor miracle that I have been able to make a living as a religious singer, doing what I love: performing, recording, and teaching; and have to date produced 10 CDs of original music, and performed across Israel and North America, in addition to far off bonus destinations like Russia and the Ukraine. I’m off to Moscow to perform for a giant Chabad Challah bake in a few weeks! The one thing all these singers share is a genuine love for music, and a burning desire to continue…because no one would be able to face all the obstacles that we do without that drive; believe me we are not doing this for the money or fame. Ashira has been making music for many years; in fact, I remember a good friend of mine describing her reaction to hearing Ashira’s music for the first time: she was livid. How had this friend of mine grown up religious, never having heard this music? 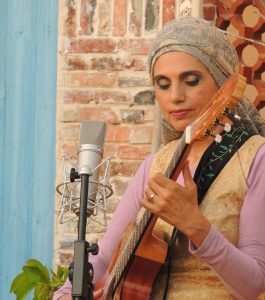 Personal, and revealing, as well as very skilled musically, Ashira has been translating the experience of the baalat tsuvah in her unique way for many years. My favorite song of hers is about Rachel Imenu. “The Courage to Live”. See if you can listen without crying. Nina (of Yonina): Yonina is a husband and wife duo currently taking over the internet. Their beautiful connection has us entranced, and Nina is a role model with her grace, modesty, and bold braveness in singing out to the world. Here is their latest video. Chava Rachel Saban is very simply a musical genius. A world-class, virtuoso violinist, she taught herself to sing after a bad car accident temporarily derailed her classical violin studies. She is prolific and fearless musically, willing to try anything; and needing to. Plucking a violin like a guitar, flying like a bird on the silver flute, layering voices, radical improvisation…Chava can do it all! A happy collaboration with the more commercially minded Shani Ben Canaar resulted in the amazing album “Never Give Up!”, and this is one of the songs featuring yours truly on backups. Neshama Carlebach certainly rose to fame on the wings of her legendary father, but her voice speaks for itself. I’m sure anyone reading this has already heard of her, but she belongs on any proper list of Jewish Female singers. Her bravery in singing out, despite the naysayers, and her velvety voice give over depths of her soul when she sings. This collaboration with a gospel choir is a true innovation. Devorah Gila survived a knife attack by an Arab terrorist when she was 8 months pregnant and went on to record one of the most polished and professional albums of Jewish music I have heard. When you hear her sing the title track “Hodu L’Hashem”, you will hear the depths of what she has gone through transformed to a boundless gratitude at the gift of life and song. Shaindel Antelis is the “pop-star” of religious Jewish women. 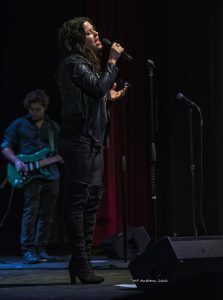 Young, fun, and positive, Shaindel is serious about both her music and her message of women and girl’s expression and empowerment, and an inspiration to many young Jewish women. I had the pleasure of appearing with Shaindel at Atara’s then yearly concert some years ago in Manhattan. Ora Baranes: I first met Ora 15 years ago when she was a young free spirit travelling across Israel. She showed up at a class I was giving at Tzafnat, a girls’ Midrasha in Tzfat, and sang me one of her songs, based on a prophecy about the Moon shining as bright as the Sun. I was completely entranced by her transparent musical presence and the movement, truth, and beauty in her song. She went on to become one of Israel’s most successful religious singers; one of my Bat Mitzvah students recently recorded one of her songs at my studio. Ruchama Ben Yosef is one of Israel’s most successful religious singers for women. Read this article to hear about how she sang her way through the challenge of infertility. And here is a video. Eti Ankri was once voted Israel’s singer of the year. She is still a common name in Israel, and in recent years became religious, while still performing for mixed crowds. Her album of songs based on the poetry of Rabbi Yehuda HaLevy is beloved to many and so beautiful. Anaelia Originally from France, now lives in Jerusalem. Anaelia’s unique voice, warm and energetic personality, and gift for teaching song and chanting make her a gem in the women’s music scene there. Fun fact: Anaelia, Chava Rachel Saban, and myself had a chanting trio in Jerusalem together in 1999. 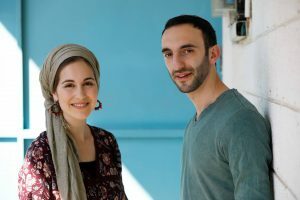 Ricka Razel Sister to famous brothers Aaron and Yonatan Razel (both of whom performed at my wedding ((a star-studded side note)), describes watching her brothers perform one night and simply crying out of frustration. They had been in a band together as teenagers, but as her brothers became more religious, and the pressures of raising a big family fell up her, she felt left behind musically. She is now making up for lost time, with a new album in the works. Din Din Aviv Achieved fame as a member of the pop group Gaya, who had a hit song, Shir La’Ahava (Yachad), which received the Discovery of the Year Award in Israel. 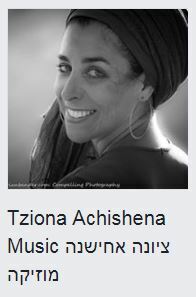 She then joined the Idan Raichel Project, and was the lead singer on the hit song Im Telech (If You Leave). She has also performed with my amazing friend and neighbor Orli Dayan on a dance and music collaboration. She released a solo album, Sodotay (My Secrets) in spring 2006, for which she received the “Discovery of the Year” award from ACUM (The Composers, Authors and Publishers Society of Israel) and a Gold Album award. Judith Gerzi blew me away at a recent performance for women at the Moshav Country fair, women’s tent. Her voice is world class and speaks for itself. Ariella Zeitlan is a virtuoso violinist, as well as a singer, and is a musician with a prolific creative output of videos. No vocals on this one, but I just love her Channuka video, which tells a story so clearly without words, and brought me to tears when I saw it. Franciska Kay Check out Franciska’s gorgeous Miriam song. 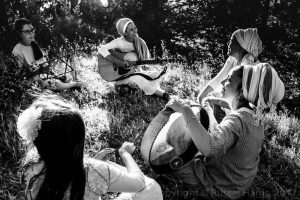 Maagal Ha Lev, (Circle of the Heart) is a singing circle of seven women and two girls, based in the North of Israel. 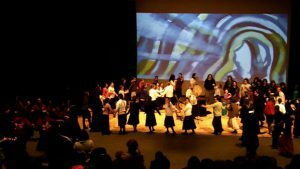 With drums, guitars, flutes and voices, this is a real transformation of the performer/audience paradigm; in Maagal Ha Lev the musicians sit in a circle, while the “audience” participates by forming concentric circles around the band and singing and dancing along. In turns meditative, joyous, and explosive, the circle is reminiscent of the circle dances and songs of Miriam and the women after the Exodus from Egypt. And Baruch HaShem there are soo many more!!! Great Annie! Please do share your list; I’m getting ready to do Jewish female singers, part 2.